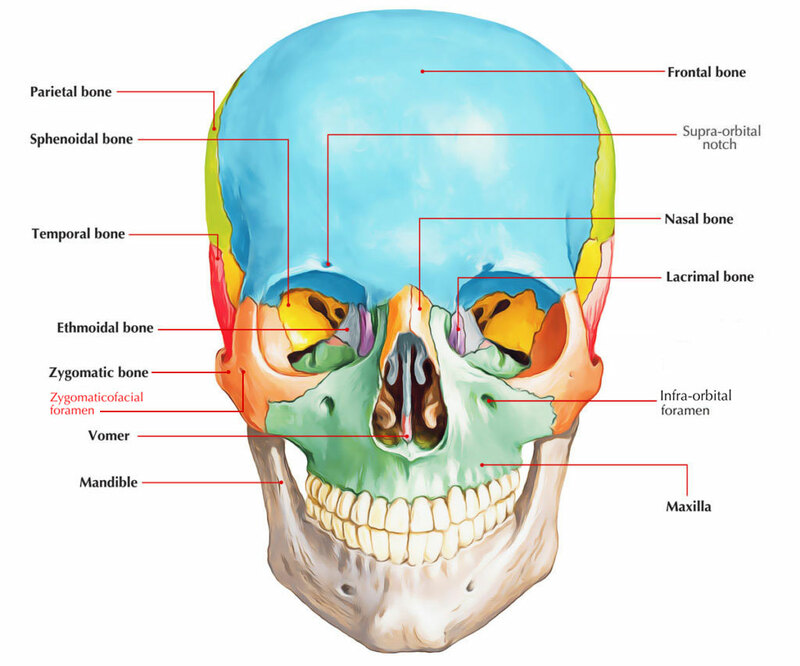 The malar surface of the zygomatic bone is convex in shape and near its center it is pierced by a small aperture for the passage of the zygomaticofacial nerve and vessels called the zygomaticofacial foramen. Each protrusion on the lower and lateral side of the orbit and rests on the maxilla is marked by zygomaticofacial foramen. A slight elevation is found below this foramen, which gives origin to the zygomaticus.